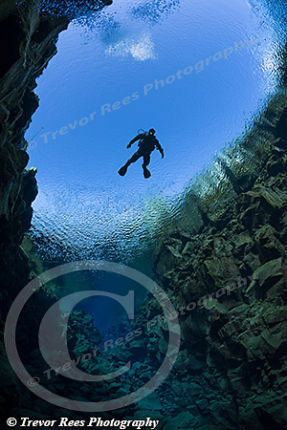 A diver hovers in the blue clear freshwater water at Silfra in Iceland. Diving in the rift formed between the American and Eurasian plates - probably the clearest water in the world. Thanks to Einar Hansen who is pictured here.